It’s the start of a new year. The holidays are over, and it is time to put the decorations back in the attic. This is an excellent time, while you’re up there, to check the attic out, make sure there are no mold or moisture issues, and take care of any issues you might find before they become problems. 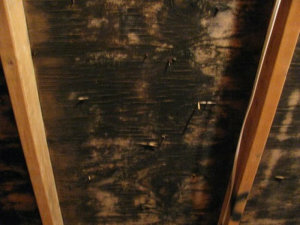 Missing or Improperly Installed Insulation- Insulation is key to preventing buildup of heat and moisture, but equally important is ensuring that things are insulated properly; among other issues, improper insulation installation can lead to blocked vents and the accumulation of heat and moisture. Vents Discharging From the Kitchen, Bathroom, or Dryer- As stated above, any vents that pull moisture out of the house should not be directed into the attic, or excess moisture is just being pushed into the attic constantly. Water Heater or Furnace Installed the Attic- It should go without saying that appliances dealing with heat and water installed in your attic run the risk of leaking, adding to attic moisture levels dramatically; any ability to relocate these appliances will greatly reduce the possibility of attic moisture. 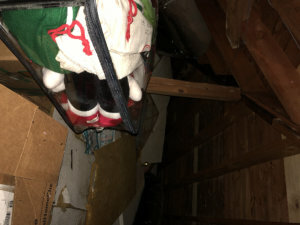 As always, if you discover mold in your attic, the main concern should be containment and remediation; but you should also ensure that whatever issue led to moisture building up is also dealt with or else the mold is bound to just come back.